Today, the Philippines is celebrating National Heroes Day. It’s a day we take pride of the people who in one way or the other have fought, have inspired and have made us proud of who we are. As I always say, not all heroes wear capes, some are common people we met every day but least we know it have done something big that made us proud of our roots as Filipinos. I’m making this post in honor of a friend, of a hero as we Filipinos would call our ‘Kababayans’ working abroad. 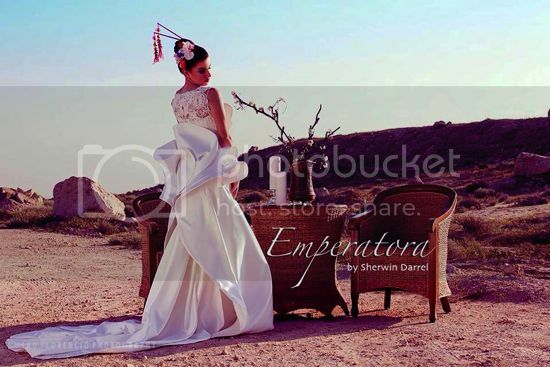 He is Sherwin Darrel, a celebrated fashion designer that is making big waves in the fashion scene of Saudi Arabia. Sherwin Darrel hails from Lebak, Sultan Kudarat. 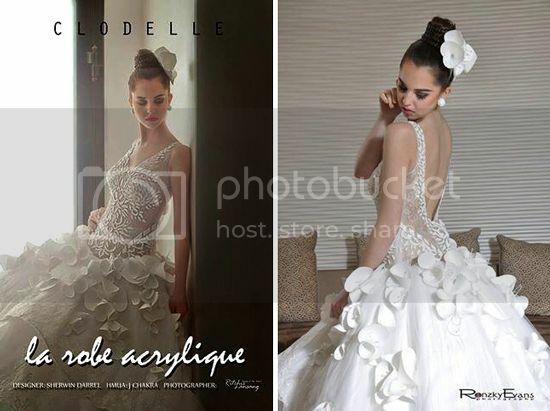 Just like many of us who wanted more out of life, he came to Davao City bringing with him his gift to designing elegant cocktail dresses and exquisite wedding gowns. But then, the lure for greater economic opportunity brought him to Guangzhou, China as a fashion designer for bulk factory apparels. Eventually, his call to answer his forte didn’t take him so long to answer. He flew to Alkhobar, Saudi Arabia to work as a wedding gown designer. Few years later, with his unparalleled endowment to details and dashes, he made Emperatora Fashion, his wedding shop's name, as one of the top party and wedding outfit destinations in Saudi Arabia. In his fruitful years in the wedding fashion industry, Sherwin Darrel has made countless elegant designs and have dressed various royal women happy. He was also been invited to prestigious international fashion shows in many nations in Saudi Arabia. He takes pride to be the only Filipino Designer favored to participate in such esteemed shows with famous International Designers in the catalogue. He was also the only Filipino featured Designer in the 2014 Wedding and Fashion Arabia held in Bharain, Saudi Arabia. Wedding and Fashion Arabia (http://www.wfarabia.com/) is a yearly fashion event that feature the works of different established and known designer names from Turkey, Kuwait, Dubai, etc. including Rosa Clara of Barcelona, Spain (http://www.rosaclarabridal.com/) participating in with their royal, elegant and sophisticated bridal collection. 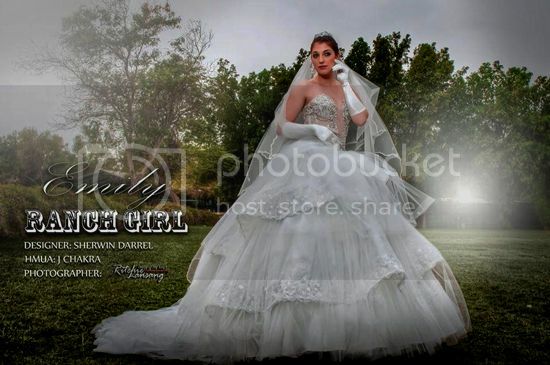 Sherwin Darrel was also elected President of Kingdom Couture, a group of young talented designers and artists in Saudi Arabia that have diverse members which include, Americans, Canadians, Puerto Ricans and many more. Kingdom Couture has staged a benefit fashion show whose proceeds were donated to the less fortunate children back in the Philippines. Today, Sherwin Darrel is working on his full schedule to stage a fashion collaboration with Aramco Ballet School with his group, Kingdom Couture. And right now, he has a number of forthcoming international fashion show invitations sponsored by the Sheikah Bint Hind Kalifa of Bahrain. Sherwin Darrel, A Filipino, A Friend, An OFW, A Hero! Wow, it's great to know that Filipino talents are everywhere in the world! wow!!! amazing, he does have great works and the designs he created is just magnificent. How awesome! 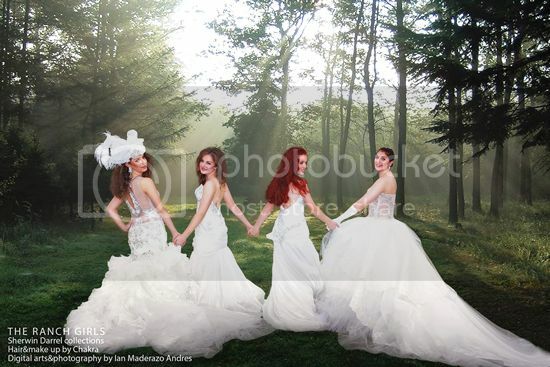 I love all his designs...I would love to wear one of those gowns...ehehhe! Musta na teVernz! Thanks sa birthday greetings...miss you! hope all is well...mwah! It's great to hear that Filipino fashion designers are making it big in international community. His wedding gown collections are simply awesome.